Top Rated. 5-Stars. 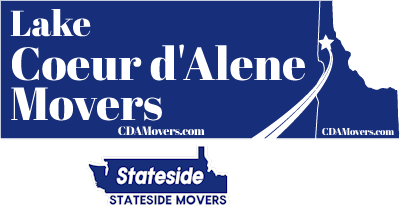 Serving Medical Lake with Professional Moving to or from Coeur d'Alene. Call Today. Free Quotes! Personalized, Five Star Service. Welcome to Lake Coeur d'Alene Movers. Thinking of moving to or from Medical Lake, WA? Your possessions are things that you have selected and chosen for many reasons. They are an expression of who you are, and the heirlooms from your family are a legacy to pass on to the next generation. Why trust them to movers who offer cheap rates but no guarantees of quality of service. Only a five-star mover should be considered to pack, move and deliver your household goods. Five-star ratings come from satisfied customers, not advertising companies. From across town moves to long distances, the same quality, expertise and care are how we do your move. Medical Lake is close to Spokane in a region of several typical Washington lakes. The Lake itself is known for rich mineral waters and draws many seeking relaxation and spa-type health benefits. It is a scenic Washington city of over 5,000 residents who work in Spokane or at Fairchild Air Force Base and enjoy the many recreational opportunities that Medical Lake has to offer. Taking a home, packing the belongings and moving them into another home is a huge task. The incredible variety of types of items, materials, breakable and delicate things, even just finding where everything is and emptying closets and drawers is a monumental job. We have experts who can help you pack, box, wrap and pad breakable items so you can just relax. 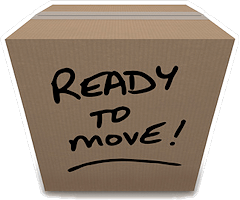 Having a professional who has “been there, done it” will be a great relief and make the move go faster and easier. Local or long distance moves are best left to five-star professionals. 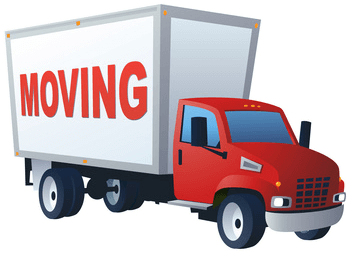 Lake Coeur d'Alene Movers / Stateside Movers LLC has the right people and noving supplies to move you to (or from) Medical Lake, Washington.